MWC is when Nokia made its grand comeback last year, and this year’s conference is just around the corner too. Nokia has already chalked out a grand launch event which will take place a day before MWC 2018 begins. While Nokia 9 is set to be the star of the show, we also expected to see a facelifted Nokia 8, the 4G variant of Nokia 3310, and additional launches will be the icing on the cake. The latest development spells out some details for a new device which HMD Global could be working on and might reveal at the upcoming trade show in Barcelona. The device we’re talking about is codenamed TA-1056 and recently earned a certification from the American cellular regulator, FCC. The device, as is apparent from the papers filed with the FCC, is small – even smaller than the Nokia 2. This clearly points out that the alleged device is Nokia 1. 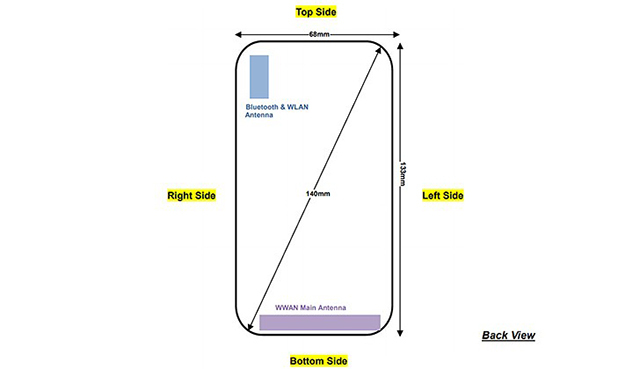 As per the FCC documents, the phone is likely to carry a 16:9 screen and while the size has not been specified, it is likely to be nearly 4.5-inches. The phone features support for dual SIM and basic LTE connectivity. The device apparently features a removable back panel and the battery seems to be detachable too. The device is also found to be lacking 5GHz Wi-Fi band, so by all means, it appears to be a budget device. Nokia 1 is expected to be the first device from HMD running Android Oreo (Go Edition) which is a lightweight version of Oreo for low-end smartphones. Focussed mostly on the cash-strapped markets where smartphone adoption is low, Android Go is intended to provide the latest features to users without burning a hole in their pockets. While the FCC’s documents do not provide much clarity on the internal specifications, earlier rumors have suggested that Nokia 1 will feature 8GB of storage and 1GB of RAM. The Nokia 1 recently leaked in images but given the lack of credibility, we suggest you take them with a pinch of salt.